Once again the weather favoured us. A great deal of rain had fallen during the week, but there was very little on Sunday. The air was humid but not specially hot. The number of hikers+cooks luckily (14) fitted with the number of 4WD vehicles available (3), given that one intrepid member was happy to sit atop luggage. 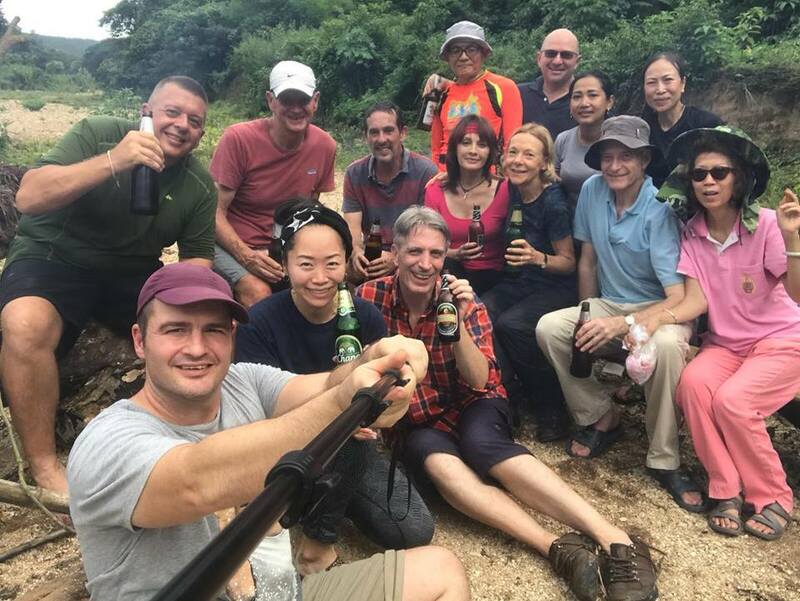 The hour-long drive culminated with a series of streams to be forded, and then we reached our base camp, where our leaders immediately started setting up tents and the meal site. 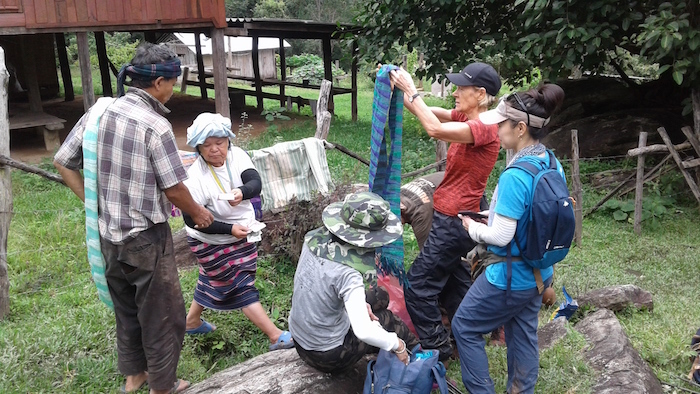 The hike was a loop within a valley: the first half taking us mainly through hilly forest to a small Karen village; and the second half leading downwards past a banana plantation, through a cluster of rice paddies, and along the stream. No choice but to get our feet wet at this point. Some made it an excuse to be wet all over. 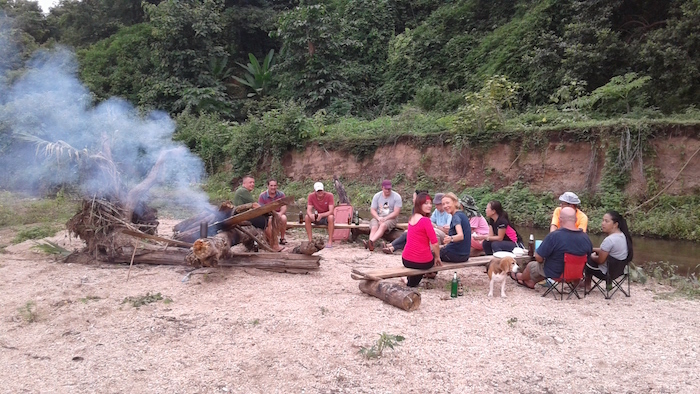 Returning to the start point, we enjoyed a picnic of delicious fried rice and pork cooked by Khun K & friend. 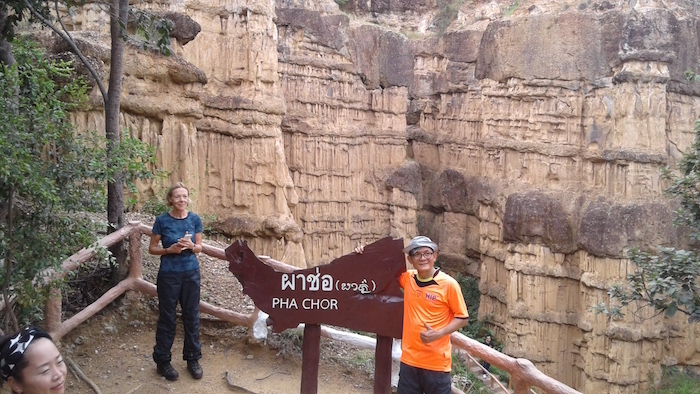 Driving home, some of us took the opportunity of a short detour to see the Pha Chor canyon. 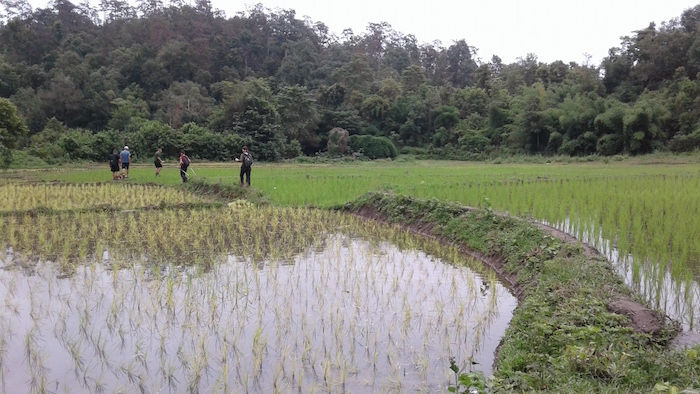 Distance hiked: 17km. Duration 5h 40m. 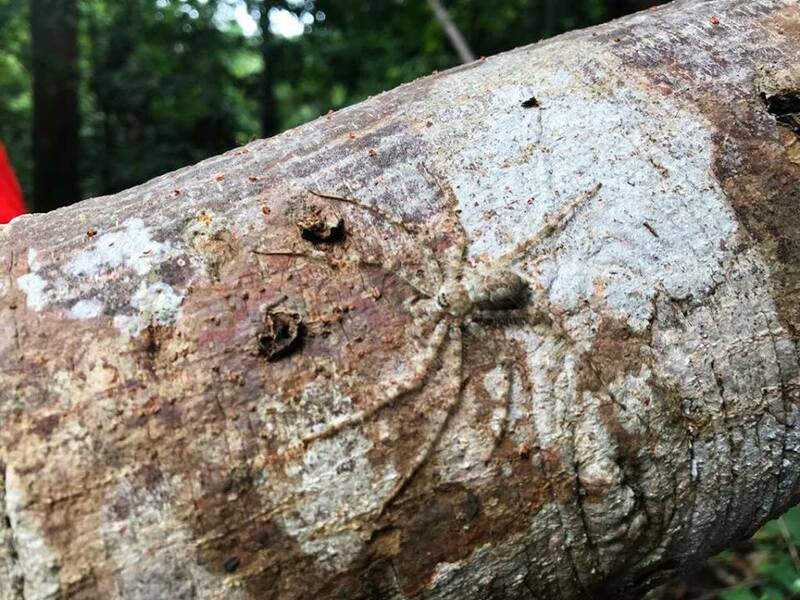 Elevation gain/loss: 500m. Hike leadership: Matt. Reporting by Michael. Photos by Michael and Waka.